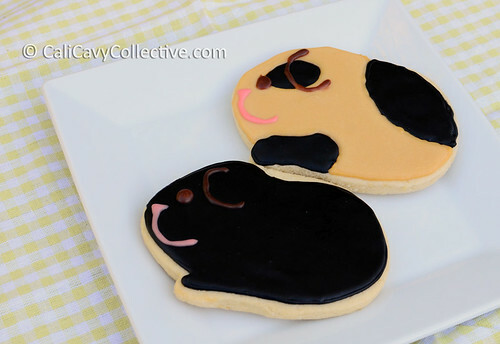 Sharing a preview of the guinea pig shaped cookies that will be available at the 2013 Bay Area Pignic! A few of the volunteers got together over the weekend to decorate cookies for the event. Above, the nekkid piggy army waiting to be dolled up with royal flood icing. Pigs in the process of getting their markings. 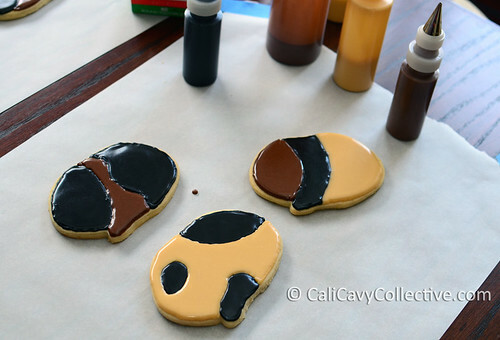 It seems that one of my cookies resembles a panda more than a pig. Oops. 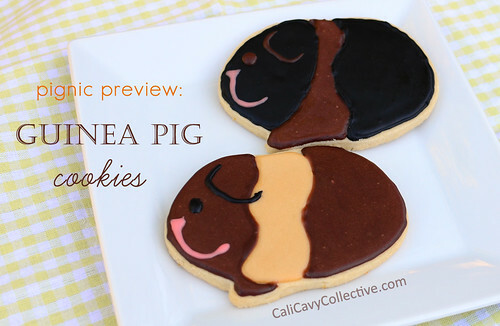 Two more of the finished piggy cookies, all dressed up and ready for the pignic. Who's excited to go? I certainly am! 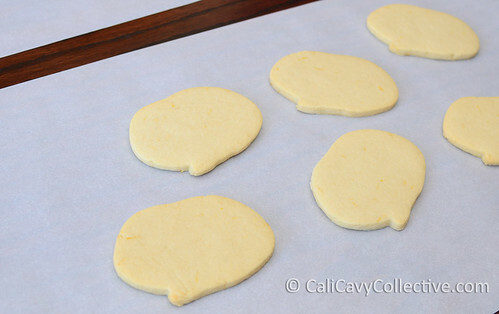 Cookie cutters from OCCH available here. I am most certainly excited, and I also can't wait to eat a cookie! Those look so yummy! And shiny!